Iran’s Foreign Minister rejects the notion that UN inspectors would be allowed into the country's military sites. 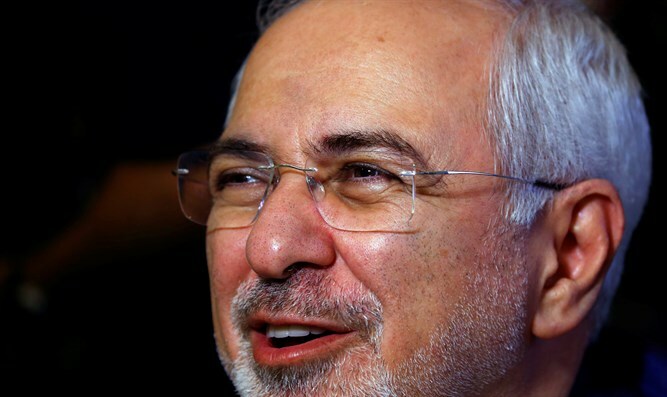 Iran’s Foreign Minister, Mohammad Javad Zarif, stressed on Wednesday that the UN’s the International Atomic Energy Agency (IAEA) would “by no means” have access to Iran’s classified information, the Iranian Tasnim news agency reports. Speaking to reporters in Sochi, Russia, Zarif said there is a clear framework for cooperation between Iran and the IAEA, and that the UN nuclear watchdog can only inspect Iranian sites built for nuclear activities. He made the comments when asked about IAEA Director General Yukiya Amano’s comments from earlier this week that his agency does not distinguish between civilian or military sites in its inspections and would ask Iran for access when necessary. Zarif stressed that none of the IAEA inspections could be used as an excuse for access to Iran’s classified information, adding that the UN nuclear agency has already verified there has been no undeclared nuclear activities in Iran. Amano’s comments, in which he also confirmed that Iran is sticking to the nuclear deal it signed with world powers in 2015, followed a demand by the U.S. that the IAEA seek access to Iranian military bases to ensure that they were not concealing activities banned by the 2015 deal. Iran has dismissed the demand, made by the American UN ambassador Nikki Haley, as “merely a dream”. U.S. President Donald Trump has been a vocal critic of the Iran nuclear deal, which was signed during the term of the Obama administration, describing it as “the worst deal I’ve ever seen negotiated”. While Trump's administration recently confirmed that Iran is adhering to the nuclear agreement, Trump and other officials in the administration have stressed that the President still has reservations about the deal. Iranian officials have downplayed Trump’s criticism of the nuclear deal, saying he will be unable to annul the deal even if he wishes to do so.